Bert Herman Kosobud, Jr. was born on March 26, 1952 to Adeline Kroulik Kosobud and Bert Kosobud, Sr. in Devils Lake, North Dakota. Bert graduated from Michigan (ND) High School in 1970. He attended North Dakota State School of Science in Wahpeton ND. In 1971, he enlisted in the US Army. He spent a year in Vietnam, and was then stationed in Washington DC until he was honorably discharged in 1973. Bert worked for Forde Construction Company in Michigan. In 1979, he relocated to Bismarck, ND and began working for Gamble Robinson Food Distributors which later became Food Services of America. On May 12, 1984, he married his wife of 33 years, Celeste Lilly, in Bismarck. He began working for Unisys Corporation in 1993. Bert and Celeste moved to Raleigh, North Carolina, in July 2004. Bert worked for the State of North Carolina in different capacities until his retirement in March 2014. Bert loved the warm weather of NC and did not miss shoveling snow. He was preceded in death by his parents, his sisters Beverly Kosobud and Kim Baurichter, and his in-laws, Gene and Bev Lilly of Bismarck, ND. 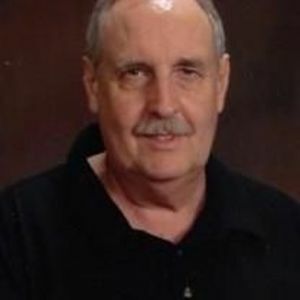 Bert is survived by his loving wife, Celeste Lilly, sister, Delores (Maynard) Lillehaugen, of Brocket, ND and their children, Troy, Grant, Jennifer, and Luke and their families, as well as Brother-in-law, Scott Baurichter of Portland, ND, and his children, Kassi, and Brandon, and their families. He is also survived by his wife's family; Ann (Lloyd) Robins of Lancaster, CA and their children, Bradley, Zachary, Ian, and Patrick, and their families, as well as, Claudia Gregory of St. Paul, MN and her son, Corey and his family and Brooke Lilly of St. Paul, MN. Bert was a friend and a good guy to everyone he met. He would do anything for you. He and Celeste had a very happy, long, marriage. Bert adored his wife and would do anything for her. If you remember anything about Bert, please remember he was a gentle soul and there will be an empty place on this earth forever without him. I love you bunny! Per Bert's wishes, there will be no funeral services. There will be a visitation at Brown-Wynne Funeral Home, 1701 E Millbrook Road, Raleigh, North Carolina, 27609 on November 30, 2017 at 4pm.